FC Platinum put four goals past Shabanie Mine in the Zvishavane Derby played at Mandava on Saturday. Pure Platinum Play dominated ball possession throughout the game, making use of the chances they got. Rahman Kutsanzira opened the scoring in the 10th minute after his first effort a few moments earlier was saved by the keeper. The Chinda Boys had a chance to equalise towards the half-hour mark but Taderera’s freekick from outside the box hit the crossbar. Mkhokheli Dube doubled the lead in the 44th minute, and a shot from Winston Mhango in the added time could have made it three, but it went straight to the woodwork. Nonetheless, Farai Madhananga scored the third one for the home team three minutes from the break before Ali Sadiki sealed the victory on the stroke of full-time. 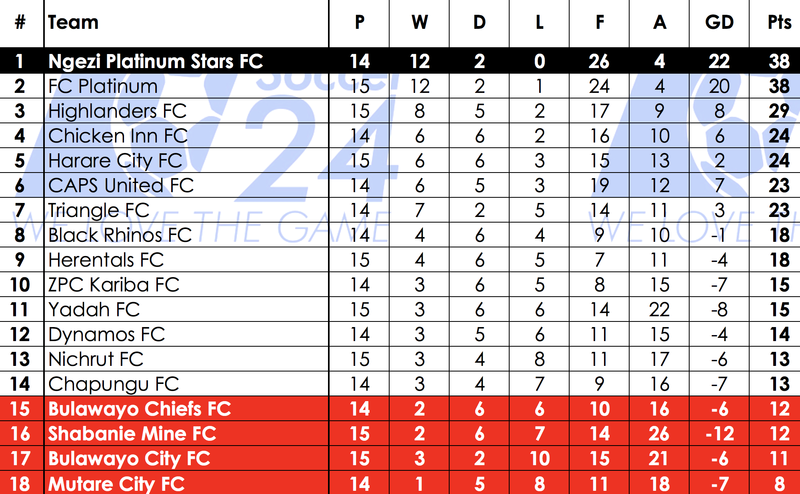 FC Platinum are now level on points with leaders Ngezi Platinum, only separated by goal difference. At Rufaro Stadium, ten-man Highlanders beat Harare City 2-1. Godfrey Makaruse netted the first goal of the match as early as in the 9th minute. However, the lead was quickly cancelled by Wilfred Muvirimi who found the back of the net four minutes later. Bosso were reduced to ten men early in the second period after Andrew Mbeba received a red card for a second bookable offence. Nigel Makumbe, who was returning from a long lay off with injury, grabbed the winner on the hour with a beautiful strike. Across the city, Archie Majarira scored the solitary goal as Herentals beat Nichrut 1-0. Elsewhere, Yadah came from three goals down to settle for a draw against Bulawayo City. Amakhosi went into the lead through Innocent Kutsanzira (9′), Toto Banda (26′) and Ishmael Wadi (56′). 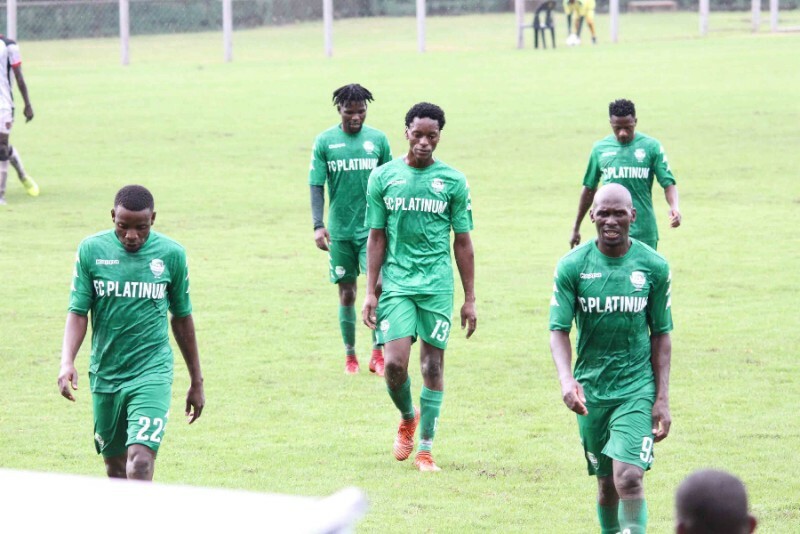 Yadah pulled one back in the 65th minute before firing two quick goals towards the last quarter hour of the game which gave them a vital away point.